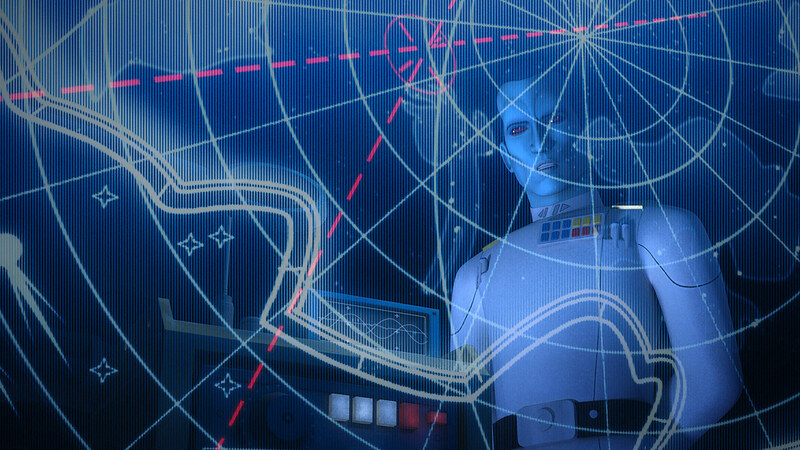 Thrawn moves to crush the Rebellion in the epic Season Three finale. The battle between Thrawn and the rebels has finally come to a head-to-head confrontation in the Season Three finale, “Zero Hour.” And what a confrontation it was. Here are my 10 favorite moments from the episode! 1. Thrawn moves into position. Sensing the Rebellion is almost ready, Thrawn lays out his plan for Tarkin, Pryce, and Konstantine as Kallus listens in. Thrawn knows they’re planning a major military strike against the Empire and he’s got a good idea of where they’ll be attacking. 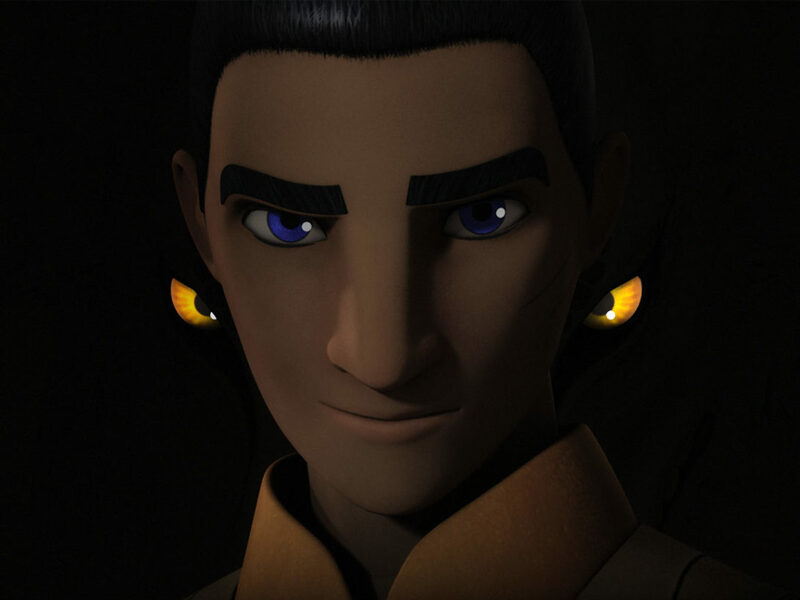 He also knows General Dodonna and Commander Sato are meeting up with Hera, so he feels now is the time to strike. Tarkin’s reminder that he wants the prisoners captured alive feels like a nice nod to Vader’s “No disintegrations” rule to Boba Fett. Anyone else have that thought? 2. Rebel preparation and deep Jedi thoughts. 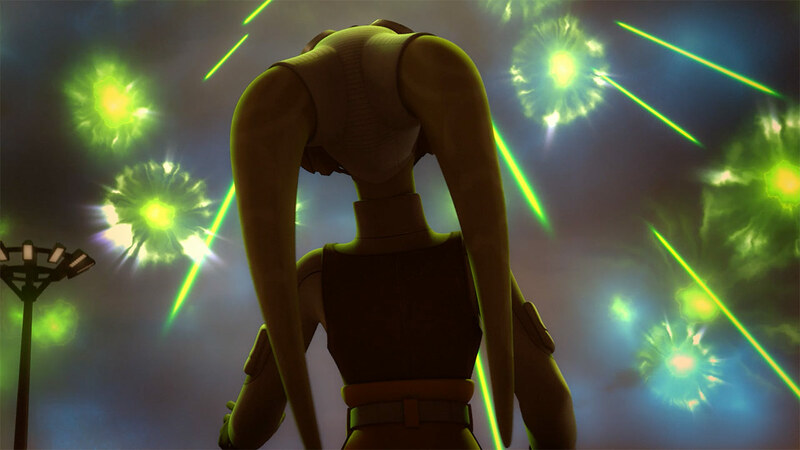 That subtle swell of the Star Wars theme as we watched the rebels on Atollon prepare for the battle to come was a perfect companion to Ezra’s awe in this moment. He’s so proud of what everyone did. But he leaves himself out of the equation and Kanan is quick to remind him that Ezra’s as big a part of this as anyone. 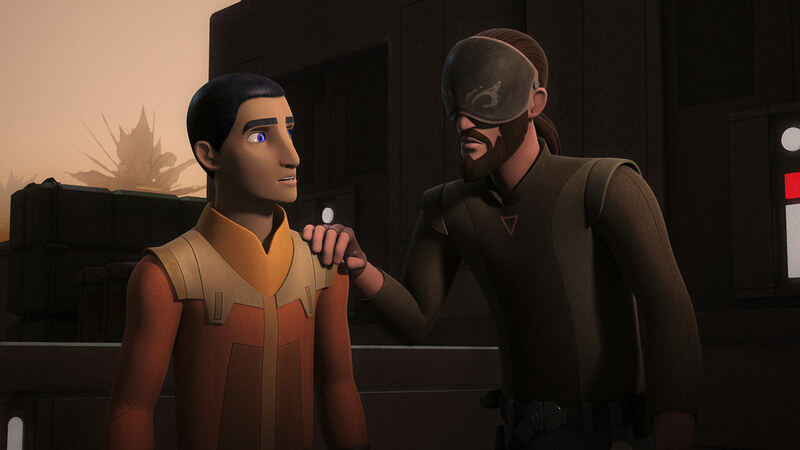 It’s a lovely moment between Jedi and Padawan, an older brother/younger brother, mentor/student as Kanan tells him that both he and Hera saw something special in him. 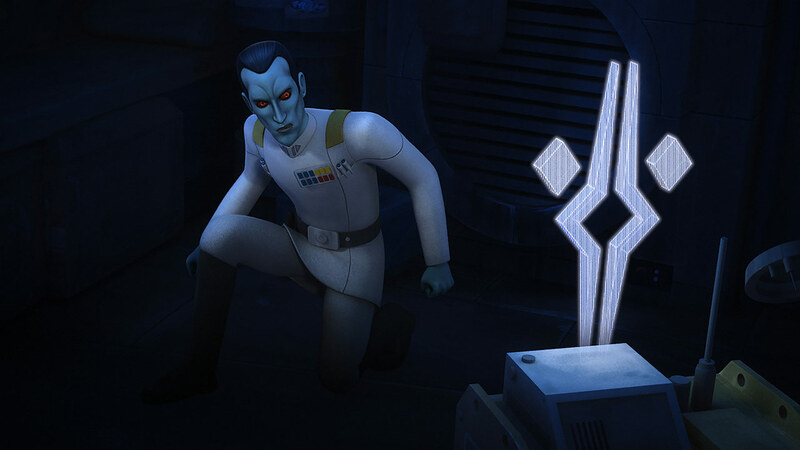 In his haste to warn the rebels of Thrawn’s upcoming attack, Kallus is discovered by the Grand Admiral at Ezra’s old tower while trying to send a message. What follows is a good, old-fashioned scrap fight and for a minute, it looks like Kallus might win. His sneering “You talk too much!“ got a cheer out of me because, let’s face it, you kind of love it when a villain gets interrupted in the middle of his mustache twirling, right? Still, Thrawn proves a great fighter and Kallus is both a captive and the key to Thrawn’s discovery of Atollon. 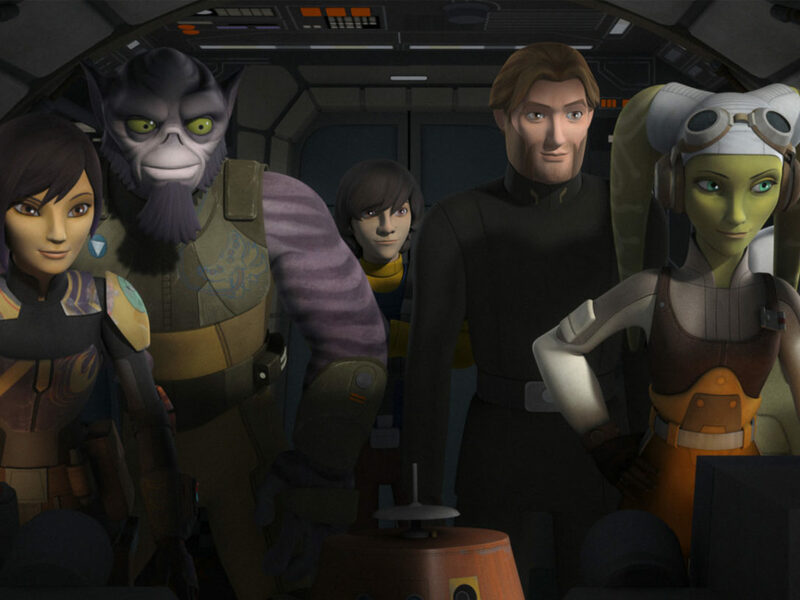 Extra points to Kallus’ little wisp/unruly lock of hair. 4. A definitive show of force. 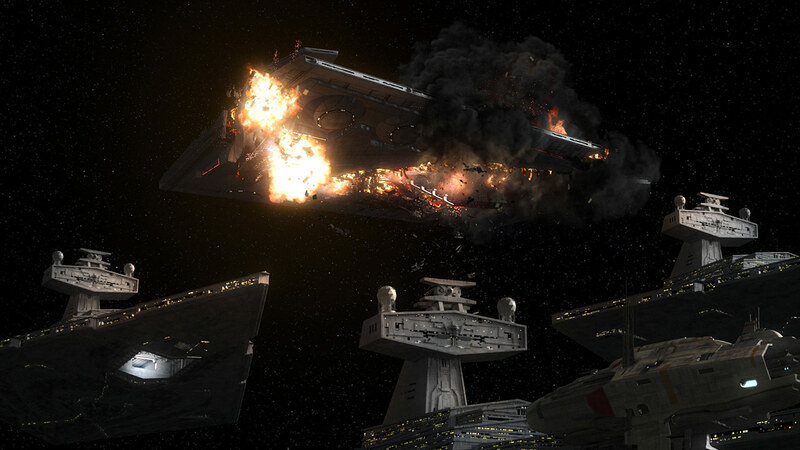 With Star Destroyers incoming, Hera knows evacuating won’t work, especially when a jumping ship is flung back thanks to one of the Interdictor-class ships and its gravity wells. 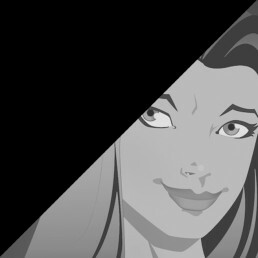 Thrawn’s cool cockiness is apparent as he says hello to General Dodonna and smirks at Hera. He thinks he’s won already, but Hera’s not about to give in. 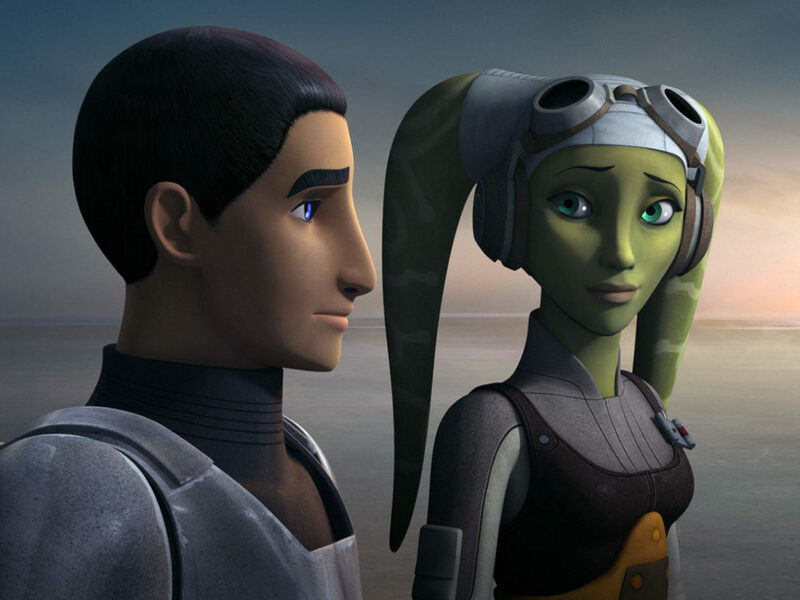 In this battle, Hera’s making the hard calls and sending Ezra, Kanan, and Chopper out in search of help while she holds down the fort, brooking no argument as both men say they should stay. 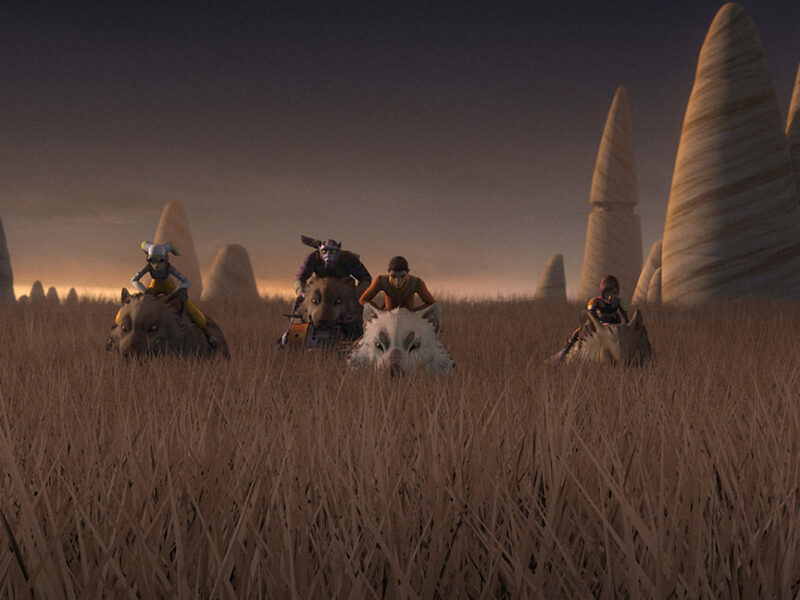 With that, Kanan seeks out Bendu and Ezra goes in search of…someone. 5. Admiral Konstantine wanted glory — now he’s a speck on the windshield. What a battle! Watching the Y-wings in action against the TIEs, rebels ships fighting valiantly against the Star Destroyers, the Ghost weaving through both. Just wow! The space battles in this episode were simply incredible. From the skirmish to getting Ezra a window for escape, right down to the end and the lightspeed jumps to freedom; all of it was stunning. If I had to pick a favorite moment, it would be Konstantine defying Thrawn and his carefully crafted plan to go after Sato on the carrier — and ending up as far from glory as one possibly can. Commander Jun Sato and his men are heroes, and their sacrifice will not go unrecognized. 6. 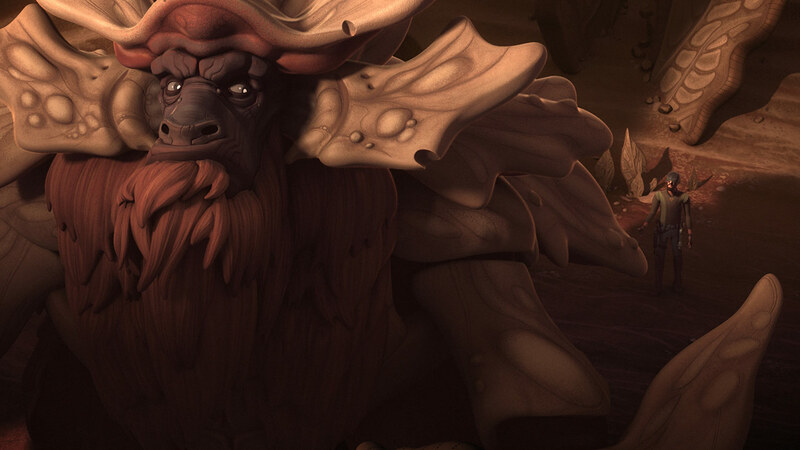 Bendu insists he’s the one in the middle. But what is balance, really? 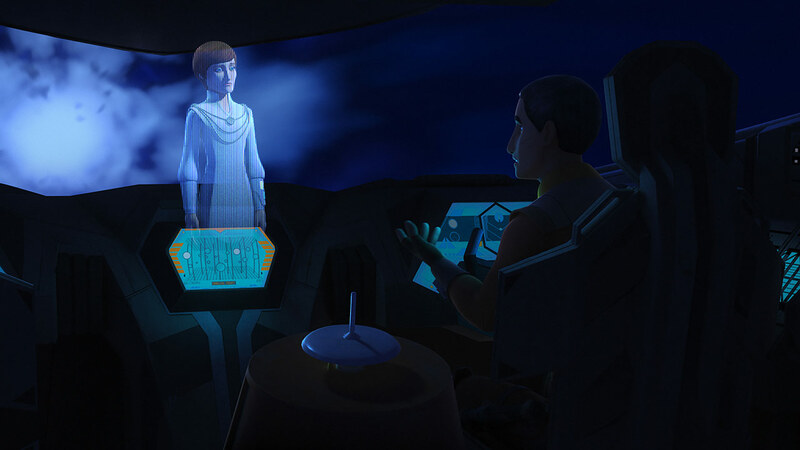 Ezra gets a message out, but Mon Mothma can’t send help because it would play right into Thrawn’s hands, and the rest of the rebellion can’t be sacrificed. Ezra’s Plan B is better anyway — Sabine. There’s a hitch, though. When he goes to plead his case, Ursa says they can’t spare anyone. 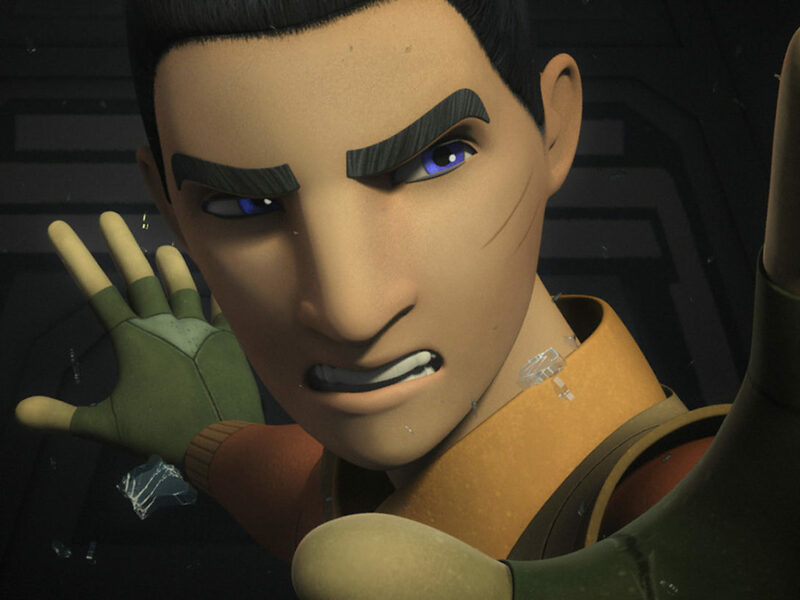 Undeterred, Ezra isn’t about to give up (kinda like Kanan and Bendu). Sabine’s in, of course, and tells her family that not only is she going, but she wouldn’t be home without the Ghost crew and the rebels. That’s the key phrase, and Ezra has his Mandalorian contingent, complete with jetpacks and firepower. 8. Thrawn is ready to end this. Thinking he’s softened up his prey, Thrawn plans his ground assault. 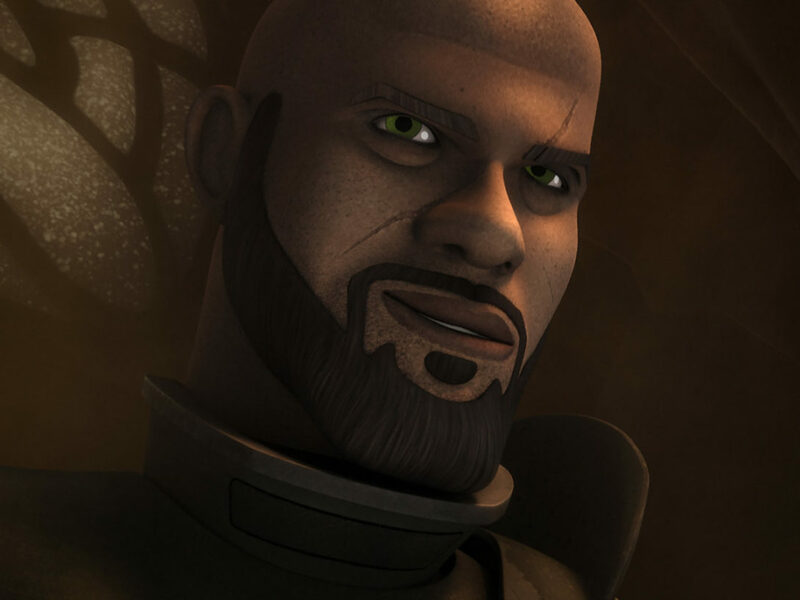 For his part, Kallus is happy to remind him that every time he thought he’d beat the rebels, they slipped away. The chess game is on. Hera and Dodonna predict his route and take out the smaller walkers, but they can’t beat the AT-ATs and get pushed back to the base itself. 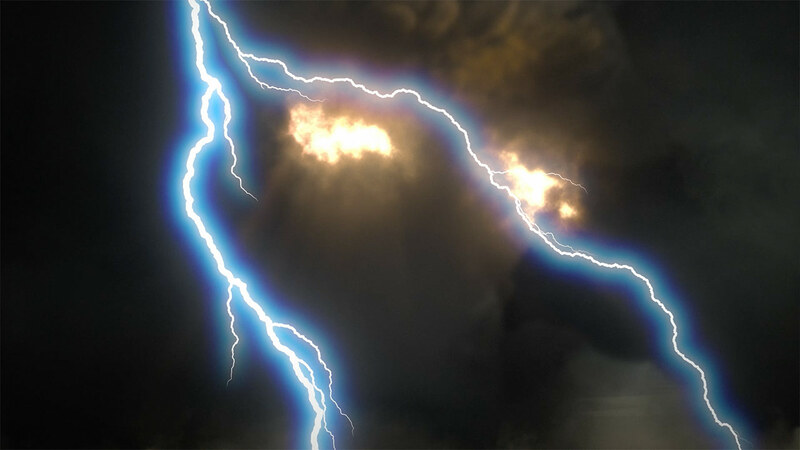 Luckily, the Mandalorians and Ezra come flying in to reset the balance of things in the air. And seriously, how awesome was that? Mandos in the air, running across the Interdictor, fighting everything and everyone. Poor Ezra. What’s a guy gotta do to get a jetpack around here? Jetpack or no, he and the Mandos take the Interdictor’s shield down. What a kaboom. 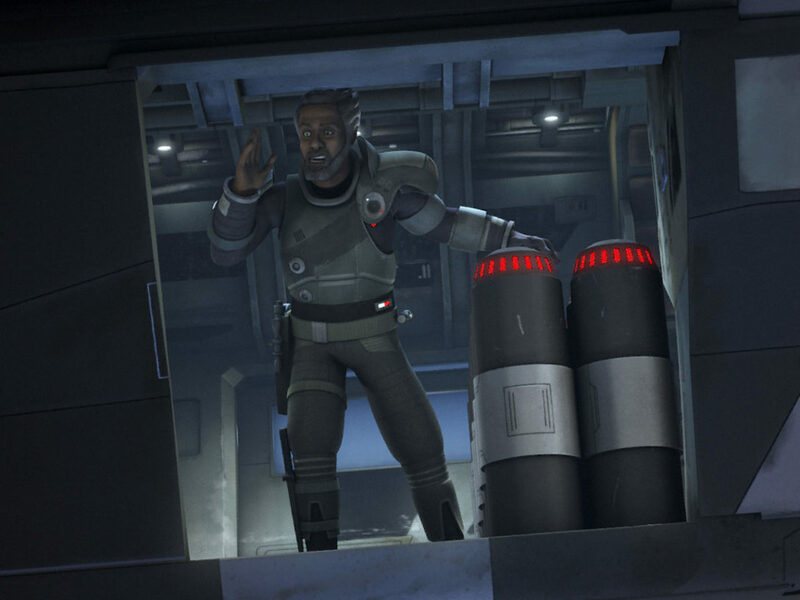 Kallus pushes once more with a snarky comment, which gets him a trip to the airlock (just what he was going for) and into an escape pod. 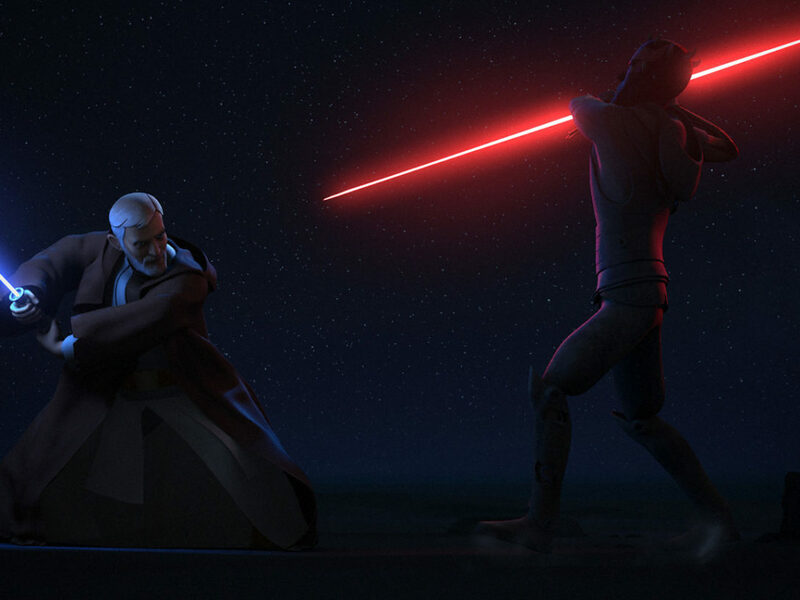 Down on the ground, Thrawn has our rebels surrounded, but a storm called Bendu is coming and he’s zapping everyone. I don’t think Kanan’s going to be welcome back anytime soon. I was most intrigued by Thrawn’s last moment with Bendu and those words, “I see your defeat.” Still so sure of himself and his idea of the world, Thrawn fires thinking he’ll kill Bendu. But all he’s fired upon is cracked earth. 10. Kanan sees a future filled with freedom. What a scene. 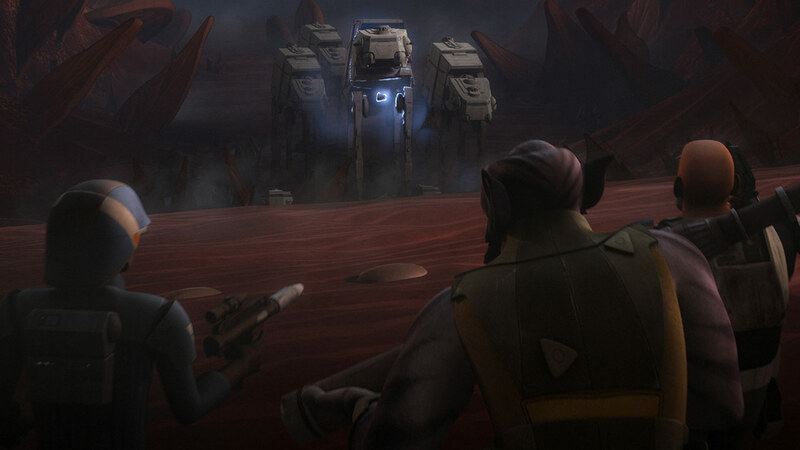 Kanan’s walk through the Ghost catches glimpses of the aftermath here and there. Sabine’s going back to her family. We learn they’re headed to Yavin thanks to AP-5 and Rex. 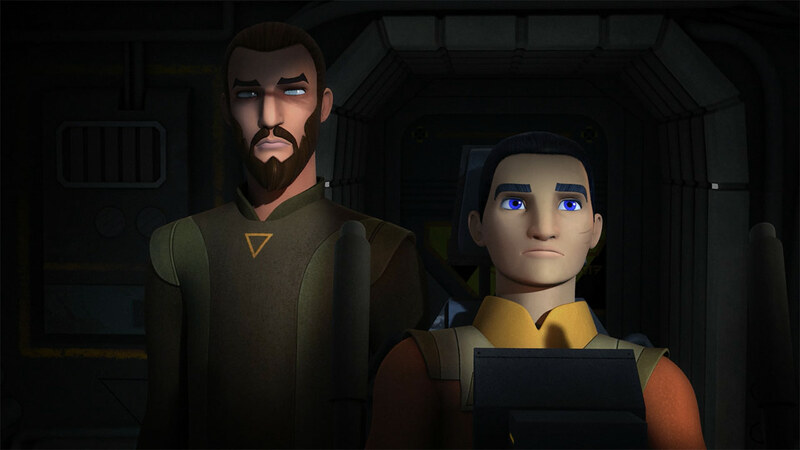 Kanan’s moment with Kallus is short but meaningful. Still, he walks past survivors to wind up next to Ezra. They talk about what they’ve lost and what they’ve gained. Kanan’s learned to see things differently. In his eyes, Ezra and Sabine saved the day; this may be a lost battle, but the fight for the future continues. Freedom can be attained. It’s up to the rebellion to make it happen. I’m adding one more because it’s the season finale and because I’m a rebel. Can we talk about how amazing that orbital bombardment scene was? It was so cool to see the shield picked up on Geonosis put to work, and it’s glorious. Even when Sabine isn’t nearby, she saves the day. Yay, Sabine! Also, that was a LOT of lasers. Those were my moments for this week’s episode — and this season! Thanks so much for following along with me for each and every episode. 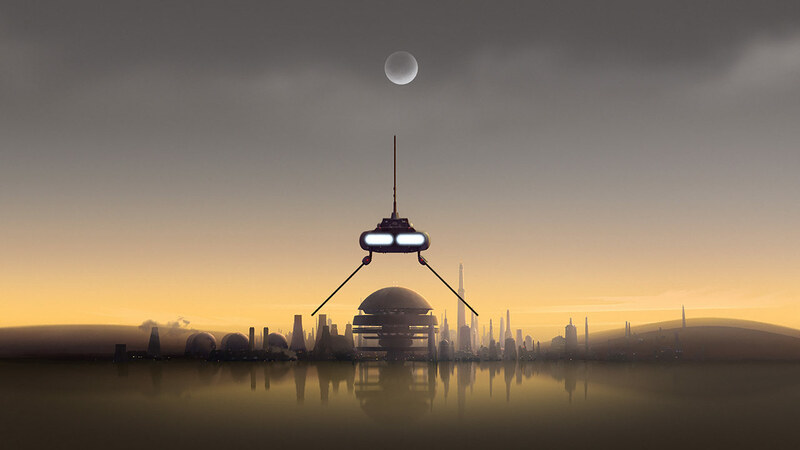 Tell us what your favorite moments were in the comments and may the Force be with you!